SOOOO dry. My face has cleared up so much but I have a thing with messing with my face. It's such a bad habit I have and have been working on ways to distract myself and keep busy with other things but sometimes I end up messing with my face and scarring it. Tonight in the midst of screwing my face up yet again I started thinking of masks I can use that are natural. Now we know I am HUGE on fitness and eat very healthy which reminds me I am starting a 3 day cleanse tomorrow woot woot VERY excited! Well I was looking in my kitchen cabinet and found some oat flour. 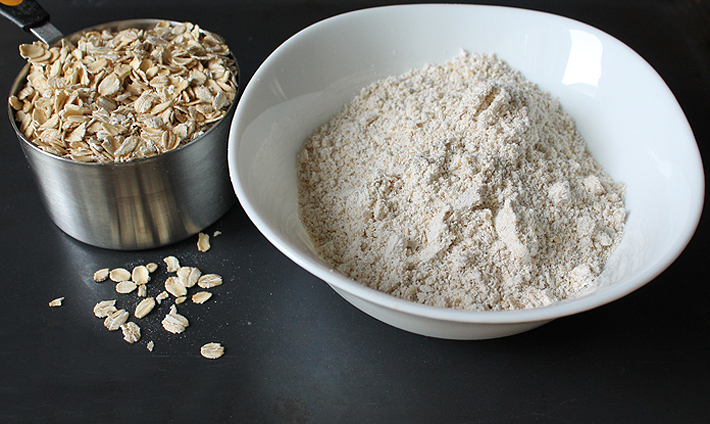 I immediately thought to myself well if oatmeal is good as a face mask oat flour may just be a bit better. Now, oat flour has many beauty benefits such as anti-inflammatory properties and is perfect for most skin types, even the most sensitive skin.It ontains saponins, a cleansing agent, and can therefore be used as a mild soap, is moisturizing and helps remove dead skin cells and Oatmeal can help treat acne, eczema, rosacea and rashes. With that being said I have created a paste out of oat flour, water, honey and cinnamon to apply to a problematic area I have been struggling with on my face. I am going to apply this mask overtime I feel like touching that area of my face. I will keep you all updated in about a month to see if any of it has helped me at all and to update you on my four month progress of being on Accutane, but i encourage any of you to try this little recipe as a face mask and share your results or opinions about it.